Following the political and social changes that took effect in Russia in 1991, an era of openness radically changed Russian Society. Amongst many of the changes that took place, some previously classified evidence (documents/video recordings etc.) regarding UFOs became available. The following reports are based on documented information included in this evidence. On 20th October 1982, an Illuyshin-62 Airliner flying from Moscow to Magadan on the Siberian coast made an unscheduled stop at Petropavlovsk in Kazakhstan due to poor weather conditions. As the plane prepared to land, the crew noticed a shining object which was flying at parallel headings at varying speeds and heights. Captain Vasilievyh, the pilot, and the crew observed the object for 12 minutes although it did not appear on radar - either on the aircraft or at Air Traffic Control. Vasilieyh reported that the object flashed light at 10 second intervals. Some eight minutes after the aircraft had landed, an air traffic controller observed a similar object due north and exactly along the projection of the runway. On this occasion he saw six bursts of light in three minutes, which were pink-red in colour. When the aircraft was examined it was found to have serious engine damage and mysterious equipment failures. On 17th October 1983 at 6 a.m. Colonel Skrypnik (Communist Party Duty Officer) observed a UFO that was "sporadically moving, changing its altitude and brightness, and periodically emitting a beam of light downwards". This event took place at an installation which is "still-classified". The colonel described the UFO as round with a bright halo around it and a darker centre; it was moving randomly with no definite direction. Other observers stated that they saw periodic beams of light directed towards the Earth and as its closest point to the ground the UFO was seen to be the shape of a polyhedron with a shining halo around it. 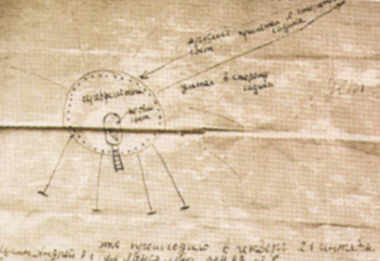 The UFO was visually "fixed" at Kursk with the use of a geodetic level and was determined to be at an angle of 30 to 50 degrees above the horizon. All observers were absolutely sure that the object was not a star - it was visible after the sun had risen and the object was observed from several cities. By utilizing cross-triangulation it was calculated that the UFO was hovering over the city of Voronezh. This case is very similar in some respects to the events at Rendlesham Forest (Top Secret et Military base) - which is covered in some detail on this website. At 10-35 p.m. on 23rd May 1985 the 27th Bomber Regiment were making a scheduled flight over Khabarovsk when air crew became aware of a UFO in the vicinity of the airfield. The object was pale orange in colour and was moving from west to east at approximately 400 M.P.H. at an altitude of 2-3 kilometers. It had a halo-like glow around it and there was no noise associated with it. No evidence was captured on radar and it was reported that there were no adverse effects on personnel, hardware or the environment. At 00-40a.m. on 24th May 1985 an ellipsoid UFO was observed over the Litovoko bombing range by Major V.V. Kudriavstev (Senior Navigator Programmer) and Senior Lt. V.V. Maltsev (Meteorological Section Engineer). The object was emitting light beams upwards and downwards - of a dull light colour. The intensity of the lower beam was much greater than the upper one and the object was traveling at great height and speed. "The light beam covered about a quarter to a fifth of the distance from the object to the ground. The beam did not hit the ground but scattered ". When the UFO approached closer, the motor on the men's boat suddenly stopped working and, despite the fact that they managed to get it started again, it again stopped. The ignition coil sockets were glowing. After the UFO flew south in the direction of Vladivostok, the men noticed that it travelled at the same speed and direction as a passing satellite. They noticed that eventually the searchlight beam turned off and the UFO disappeared. On 12th November 1985 Hasan Kayumovich Rakhimov was on guard duty at a military base known as "Post Seven" when he observed a "a ball of yellow-blue colour" appear. The object was about 35 metres from where he stood and about 12 metres above the ground - it moved in "hops" across the base and after making three or four hops of about 75 metres it disappeared. 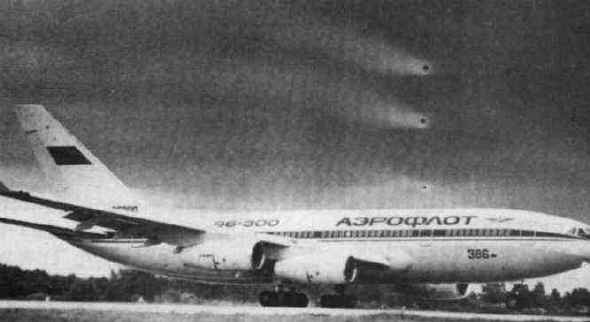 On 14th December 1987 an airliner was en route from Volograd to Tbsili (Georgia) when the crew observed a flying object on a head-on course - the object resembled an aircraft with retracted landing lamps burning. The UFO was also observed by the crew of another airliner at 11-20 p.m. - they reported that it was followed by 2a fire train scattering sparks". Other witnesses reported seeing the object from the ground, describing it as " an object which was trailing a tail of fire". However, there was no evidence of a crash, no debris was found. "Slowly climbing lights changing their colour from red to white". The duration of these sightings was 30 seconds to 3 minutes and they were reported from three different locations at the base. UFOs were also spotted by officers at the top of Lyzyk mountain which is close by the missile site. On the night of 9-10th September 1988, a "silver-balled" shaped UFO was observed near the Kura Missile Range. Witnesses described the object being the same size as the Moon and emitting a cone-shaped beam. This UFO was seen shortly before a scheduled missile launch. On the night of the 5th-6th May 1988, a Lt. Colonel Kornienko reported a close encounter with a UFO over the industrial town of Khabarovsk in south-east Russia. He stated: "Between 01.20 and 01.26 I sighted a strangely behaving object in the north-eastern part of the sky at a fairly large distance from where I was standing. The object, the shape of a cigar or an ellipsoid, was flying fast in a vertical attitude. Sectors of light - I cannot call them beams - were leaving the bottom part of the object". On 22nd September 1989, at Astrakhan in south-west Russia, six people observed a red, glowing "dropped-shaped" object in the vicinity of Koxhevaya railway station. Yet another three people witnessed the object and it was seen clearly in the area for the next 50 minutes. Six days later two "luminous red UFOs" were seen by a number of people near the runway of the local air-base and a month later a large number of people witnessed the "drop-shaped" UFO near the village of Burkhala in the Yagodinski region. In 1991, numerous residents of Aleksandrov, near Moscow, reported sightings of bright white flashes in the skies over their town. Reports of the speed and height of these objects varied but on one remarkable occasion a UFO was seen near the Tomb of the Unknown Warrior in Karabavano. The object was reported to have emitted a light pulse so bright that it illuminated the entire surface of the monument. "I heard a faint click…… I felt a bright light above me …… it was a luminous green dot with a tail like a comet ….. it moved at about 20 metres above the ground ". He further stated that the object appeared to separate into two parts before disappearing. However, the object was also reported by two other soldiers who had been on duty in another part of the depot. One of these men, Warrant Officer Yarosh, described seeing a ball of light fly over the depot and added that similar events had taken place at the depot in 1983 - events which his superior officers had been unable to explain. In 1991, Alexandr Pavlov photographed this UFO over the banks of the River Volga near the town of Tver in central Russia. The Lubianka building in Moscow - Headquarters of the KGB. Amongst the official documents that are amassed here are previously classified UFO files . Nilolai Yegorov captured this UFO on video near Sevastopol in August 1993. The timer on the camera shows how far the object travelled in less than a minute. Again - unexplained.